Meet the nonprof whose spring circus is about to come to town. Suspended about ten feet above the ground, 11-year-old Nemo Mass is spinning at a dizzying rate, his long hair flipping back and forth. He’s performing the “Spanish web,” an intricate aerial circus act in which one hangs from and manipulates a braided rope to create momentum. It looks impressive—and dangerous. But Nemo’s mother, Meg Mass, isn’t afraid for her son’s safety. She’s beaming as he effortlessly performs an act that would induce both nausea and whiplash in most adults. Nemo, along with some 80 other students, is rehearsing for CircEsteem’s tenth annual Spring Circus, to be performed at Francis W. Parker School’s aud this weekend. Adult volunteers and former kid-performers-turned-teachers both supervise and watch in awe as other kids of all ages also rehearse—spinning plates, riding unicycles and performing acrobatics, even doing the occasional contortion act. CircEsteem, a 10-year-old nonprofit with a self-described mission “to unite youth from diverse racial, cultural, and economic backgrounds and help them build self-esteem and mutual respect through the practice of circus arts,” works with kids from all over the city. It’s not uncommon to find students from Lincoln Park, Woodlawn and Edgewater working side by side in the group’s summer camps and after-school programs (where some also get homework support). Even with a budget cut by more than a third over the past two years, CircEsteem also strives to provide college scholarships. 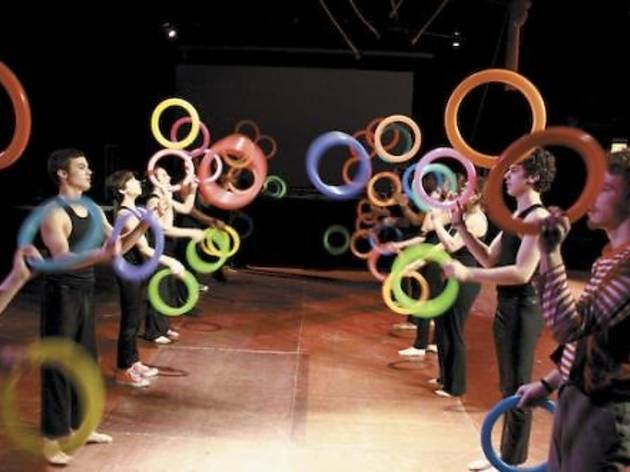 Despite successes in both academic and circus arenas, CircEsteem has seen setbacks. In June 2009, CircEsteem founder Paul Miller was fired, then sued by the board of directors for financial malfeasance. (Joy says the suit was settled amicably that September.) In 2010, the group faced additional woes following drastic cuts in state funding to the Illinois Arts Council, which CircEsteem depended on to help pay for a youth employment program. Joy says CircEsteem now relies more on private donations. 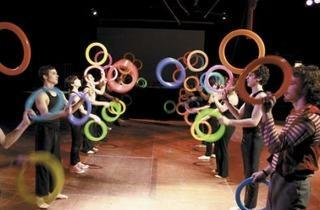 CircEsteem’s Spring Circus runs Friday 13 and Saturday 14.